Ever since becoming old enough to understand good and evil, we have always been told that if we do something bad, we will go to Hell. Literature, art and even video games tried to give the most horrifying representation of Hell, but none did it as well as Agony. Hellish is the only definition that can be given to Madmind Studio’s horror, and not only due to his excellent presentation, as the gameplay experience, sadly, it’s extremely flawed. At the beginning of the game, main character Amraphel are thrown straight into Hell, with no idea on how he ended up there. Other characters suffer from the same peculiar form of memory loss: they cannot remember anything, except for the Blood Goddess, which they seek without rest. Other characters, however, know quite well why they are there, and it seems like it’s been Amraphel’s fault. During his trip through hell, Amraphel will start remembering why he ended up in Hell and what he has done to deserve this fate. He will also get the chance to get close to the Blood Goddess, and it won’t be a particularly nice encounter. 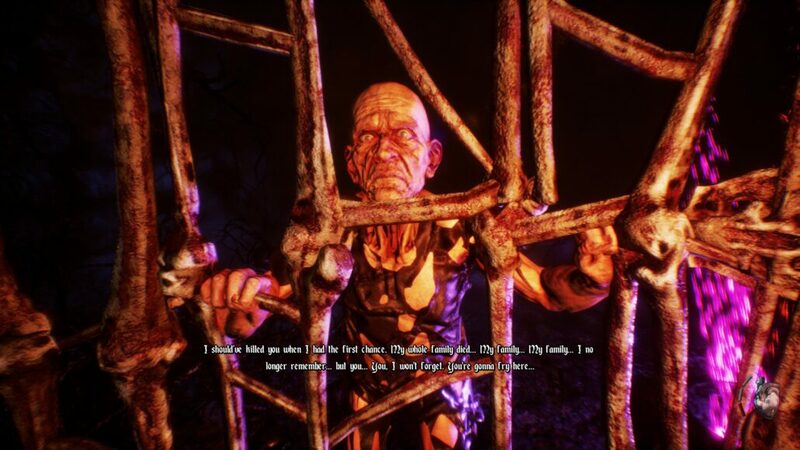 Agony’s story is presented mostly through dialogues with other NPCs found in several different locations as well as optional collectibles such as letters. The story is filled with some incredibly gory segments, so Agony is definitely not a game for the faint of heart. Some of the nastiest things in the game also feel somewhat gratuitous, even more, considering the story isn’t particularly inspired. It gets its job done, but it’s clear how the development team wanted their depiction of Hell to be at the forefront. Agony’s presentation is actually the best feature of the game. Never before Hell has felt so hellish, with an appropriate use of lighting and sound production that make players feel uncomfortable from beginning to hell. It’s really hard not to feel shivers down one’s spine when navigating the claustrophobic mazes found in the game while listening to sounds that aren’t particularly soothing. 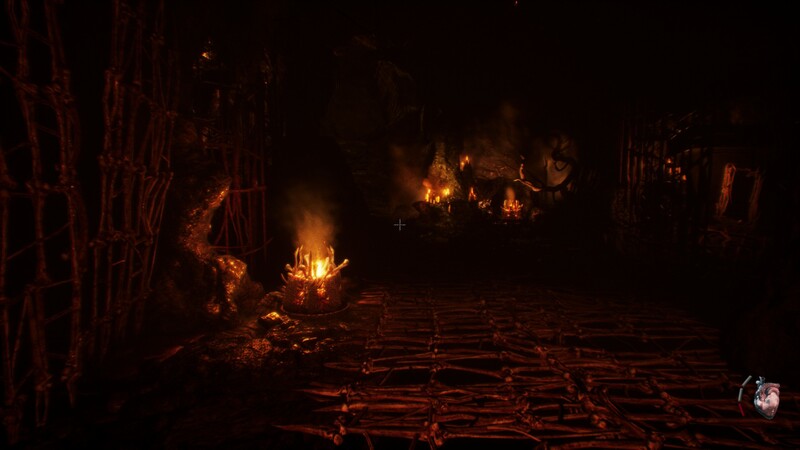 Sadly, the incredibly effective representation of Hell is pretty much the only reason to play Agony, as the gameplay experience is extremely flawed. The game is played from a first-person point of view, with players navigating Hell while completing a variety of puzzles to move the story forward. 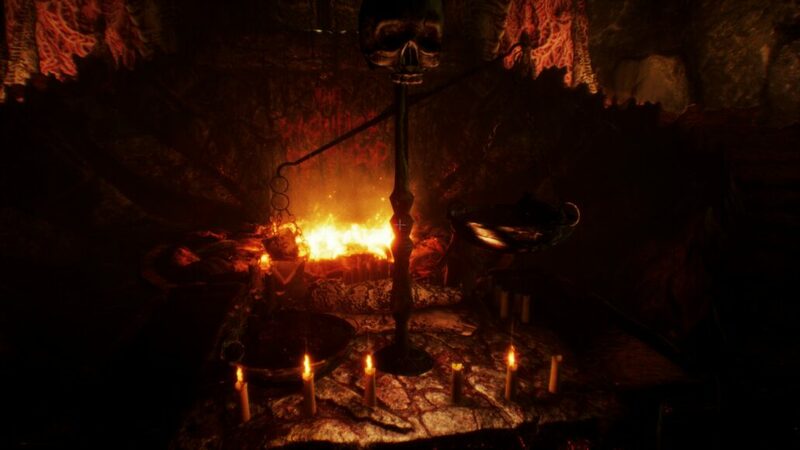 The main flaw of Agony’s gameplay is the execution, as many of the mechanics are poorly explained, with some of them feeling completely superfluous. The first offender is the checkpoint system: in order to save, players have to access Soul Mirrors. While a few are in easy to find spots, most are placed far from one another. The main issue is that Amraphel dies pretty much in a single hit from major enemies, which forces him to look for a suitable individual to possess in the vicinity. More often than not, players will have to go back quite a bit to find one of these NPCs, and, with a short time limit for possession, it takes very little to die and go back to a previous checkpoint. This wouldn’t be a major issue if the completed puzzles would stay complete, as a couple times I started from a checkpoint close to a completed maze only to find that everything had to be solved again. Incredibly frustrating, also considering puzzles aren’t incredibly creative. Most puzzles involve finding the right items and place them in the right place. Another type of puzzle found multiple times is one involving the drawing of a symbol, which players have to copy from unspecified nearby objects. The other most common form of puzzles are mazes, in which players have to navigate while avoiding enemies and active objects, which open the path to the exit. Things start getting more interesting once players develop their possession powers, which can be enhanced by a skill system which honestly feels a little out of place in a game such as this. Demons all have some unique powers and traits, and experimenting feels fun in the beginning. Sadly, the system doesn’t live up to its potential due to the fact that it’s not really all that important, outside of a few specific scenarios. Additionally, the game suffers from some pacing issues: at times, players have to deal with a lot of enemies in a short amount of time while there are times when everything feels really empty. It’s also easy to get stuck for no reason other than level design. There are hints, which can be used as often as players want if they so chose in the options menu. While the presentation is generally very good, as stated above, there some issues here and there as well. If not played on Ultra settings, the game may not look all that good. The sound production is generally good as well, but voice acting can be hit and miss, damaging immersion. At the end of the day, it feels like Agony lacks a clear sense of direction, outside of its amazing presentation. There are some interesting mechanics at play, but they are either not explained properly, or almost superfluous or even hindered by the actual level design. It’s a true shame, as Hell has never looked as good as it looks in this game. PC version tested (review code provided by the publisher). You can purchase the game for Xbox One via Microsoft Store. Agony is the best video game representation of Hell ever created, but it's the only thing the game has got going for itself. With its lack of gameplay direction, poorly explained mechanics and bad pacing, playing Agony can be a hellish experience, and not for the reasons the development team intended.